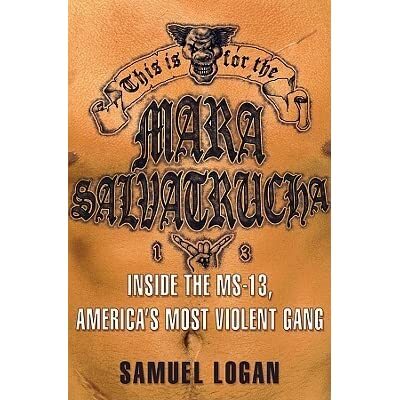 Mara Salvatrucha (MS-13) is a well-known and extremely violent street, and in Central America, prison gang with an estimated transnational membership of 50,000 to 70,000 individuals. 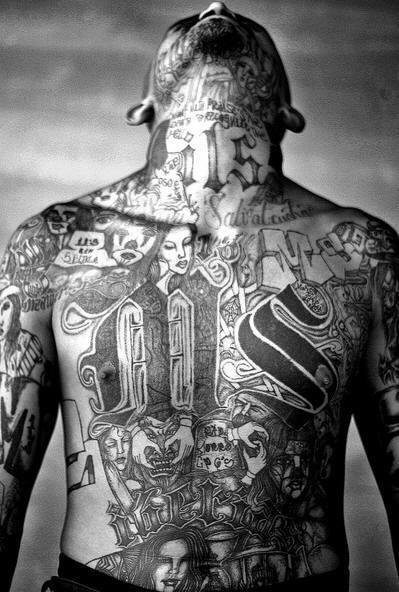 Essentially a transnational gang network, MS-13 maintains a relatively robust media presence due to its ongoing criminal activities within the United States, many of which have resulted in homicides and even torture killings, as the gang continues to expand into new communities in Texas and the East Coast of the United States. The gang is organized on a networked, i.e. biological (and/or software program) based model with open architecture ‘plug ins’ that utilize a cellular synapse/and open coding-like strategy that facilitates network linkages and alliances, i.e., interfaces with violent non-state actors (VNSAs). 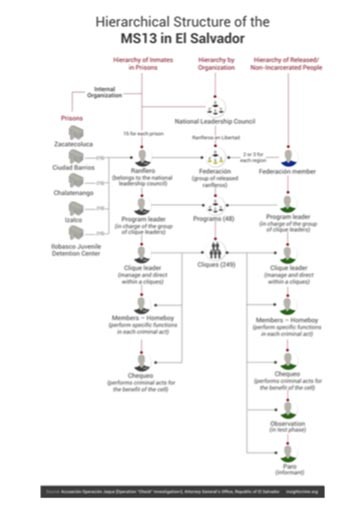 Such network interfaces and organizational schemes go by a number of terms including netwar (John Arquilla and David Ronfeldt) and open-source warfare (John Robb). This note specifically looks at the C2 geographic variations of the Mara Salvatrucha (MS-13) network in the United States, Mexico, and Central America (primarily El Salvador) and MS-13s interface with more powerful violent non-state actors (VNSAs) which result in localized hierarchical organizational expressions. This monograph focuses on an understudied, but yet a critically important and timely component of land warfare, related to the battlefield use of chemical weapons by contemporary threat forces. It will do so by focusing on two case studies related to chemical weapons use in Syria and Iraq by the Assad regime and the Islamic State. Initially, the monograph provides an overview of the chemical warfare capabilities of these two entities; discusses selected incidents of chemical weapons use each has perpetrated; provides analysis and lessons learned concerning these chemical weapons incidents, their programs, and the capabilities of the Assad regime and the Islamic State; and then presents U.S. Army policy and planning considerations on this topical areas of focus. Ultimately, such considerations must be considered vis-à-vis U.S. Army support of Joint Force implementation of National Command Authority guidance. 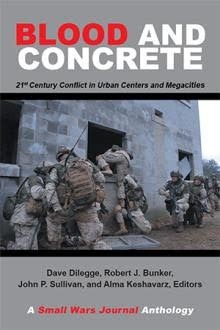 Blood and Concrete: 21st Century Conflict in Urban Centers and Megacities provides a foundation for understanding urban operations and sustaining urban warfare research. This Small Wars Journal (SWJ) Anthology documents over a decade of writings on urban conflict. In addition to essays originally published at SWJ it adds new content including an introduction by the editors, a preface on “Blood and Concrete” by David Kilcullen, a foreword “Urban Warfare Studies” by John Spencer, a postscript “Cities in the Crossfire: The Rise of Urban Violence” by Margarita Konaev, and an afterword “Urban Operations: Meeting Challenges, Seizing Opportunities, Improving the Approach” by Russell W. Glenn. These essays frame the discussion found in the collection’s remaining 49 chapters. Blood and Concrete continues the legacy of Small Was Journal’s coverage of urban operations, conflict and combat. 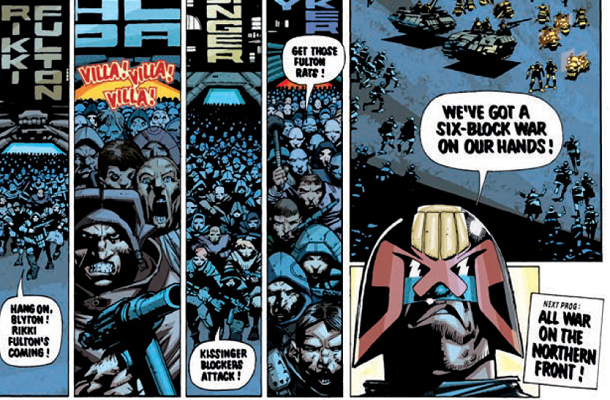 Probably not this kind of megacity….. Think about it, just skim the surface, and it’s obvious. Of course, MS-13 would be the new bad boy in girls’ lives. But what does that mean? Who has mapped the way in which girl’s lives might require or enjoy bad boys, and how gang identity, and thus by entension the game itself, might fulfill that requirement, that need. How true was it that ISIS or AQ was in its day the bad boy in girls’ lives? It seems pretty obvious Mick Jagger was bad boy in girls’ lives, back when Paul McCartney was the boy those same girls could bring home to meet the parents. Is extremism always the bad boy in girls’ lives? 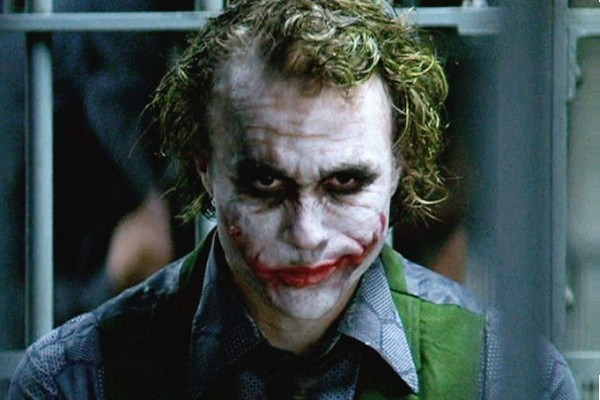 And once we’ve wondered about a few exmples, we need to reflect on the ornery nature of individual human psychology. God says, “But of the fruit of the tree which is in the midst of the garden, God hath said, Ye shall not eat of it, neither shall ye touch it, lest ye die” — and what’s the very next thing the fledgling humans do? In my early thirties, I made my way cross-country to Inia along the hippie trail, and in the midst of majestic mountains in Iran, I got out of the van, did a headstand, and made a vow to give up smoking. I climbed back into the van, and ten minutes later had another cigarette. Ah, but I didn’t bite my nails — up to that time a long-established habit — for almost a decade..
Go figure. There’s a logic there, but it involves a sidestep. Or, as they say, some wires got crossed. On April 30, the floor of a crater on top of the Kilauea volcano collapsed, sending its pool of lava back underground and causing small earthquakes. Scientists predicted the magma would travel elsewhere and push its way back to the surface somewhere in the East Rift Zone. 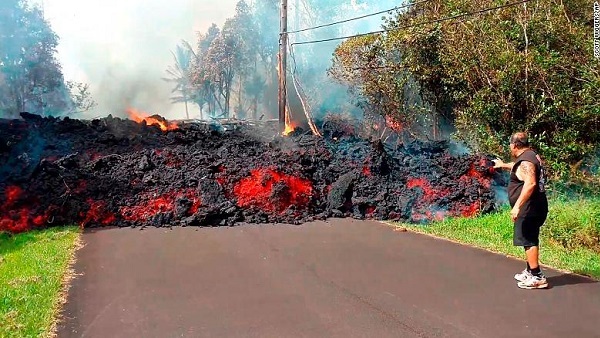 The Hawaii County Civil Defense Agency called it “active volcanic fountaining.” Some residents said it was Pele, the Hawaiian volcano goddess, coming to reclaim her land. About 1,700 Leilani Estates residents were ordered to evacuate amid threats of fires and “extremely high levels of dangerous” sulfur dioxide gas. Soon, another such fissure had formed a few streets to the west. Then another, and another. For days, hot steam and noxious gases rose from the vents, before magma broke through, with some lava fountains shooting as high as 330 feet into the air — taller than the tip of the Statue of Liberty torch. At least 12 fissures have been reported in and around Leilani Estates, according to the county civil defense agency. Lava spouted along the vents and oozed through the neighborhood, leaving lines of smoldering trees in its wake and igniting cars and buildings. So far, lava has destroyed at least 35 structures, 26 of which were homes, the agency said Monday night. The world, like the min, is full of surprises. King Canute, I was taught as a young boy, set his throne on the beach at low tide and forbade the waters to come in. This Hawaii resident had much the same idea..
And we would like to know how Iran will respond to Trump withdrawing from the Joint Comprehensive Plan of Action. And China. what Admiral Stavdridis calls “the knock-on effect with North Korea”. Saudi Arabia.The game is one of recriprocal Nuclear Dominoes, and exactly how they’ll fall is..
Toss a coin, Roll the dice. 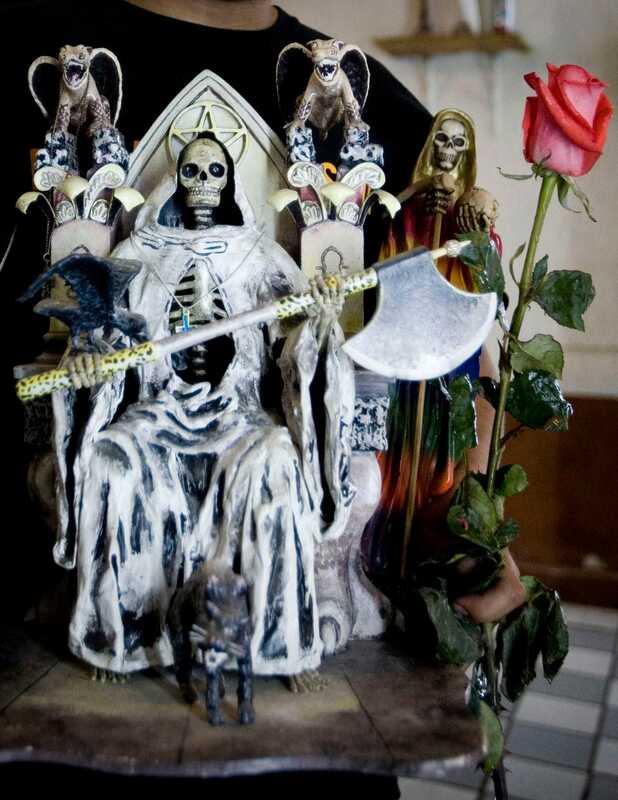 Or maybe pray to Pele for a favorable outcome for you and yours, no guarantees..
Mara Salvatrucha (MS-13) as a street gang—as well as a group with prison gang attributes in Central America—has greatly evolved over the course of the last four decades. Starting out as a Los Angeles ‘stoner gang’ (Mara Salvatrucha Stoners—MSS), it then was directly influenced by the brutality of the El Salvadoran civil war with an influx of new members (losing the second S in the gang name in the process), became a vassal of the Mexican Mafia (with the addition of the 13 to its name—MS-13), was increasingly influenced by the Mexican cartels, and finally has come under the sway of darker Santa Muerte influences. Beyond its journey from a local street to a transnational power-seeking gang, the overlapping ideological themes and cultural narratives underlying Mara Salvatrucha’s evolution have been built upon a foundation of Satanism, occultism, brutality and torture, and rampant criminality. 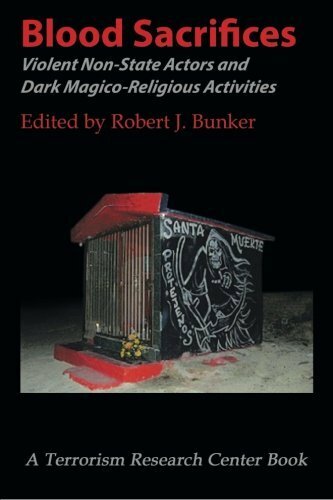 While some gang cliques and their members are still primarily secular in their orientation and view Satanism and occultism from more of an ideological perspective many others embrace a violent magico-religious cosmology in a sense becoming ‘true believers’ that now adhere to amoral or even evil spiritual values that invite sacrifice and torture….